This blog post was first published on April 24 2011, and revised on April 9 2015. Today is Easter Sunday, the beginning of the Paschal season, also known as Eastertide. The word Paschal is the Latinised form of the Hebrew Pesach, which refers to the Jewish festival of Passover, commemorating the liberation of the Israelites from Egypt. Because the events celebrated by Christians as Easter took place during Passover, the same word is used for both Easter and Passover in languages derived from Latin. (As many of you will know, the famous Last Supper that Christ held with his Apostles was their Passover feast). I have chosen a Cornish name to celebrate this Easter, because people of Cornish descent have made a valuable contribution to Australian culture, right from the start of British discovery and settlement. There has been a long tradition of Cornishmen in the British Navy, and the first Cornish people to reach Australia were naval officers sailing with Captain James Cook. Cook’s second-in-command was Cornishman Zachary Hicks, who spotted the east coast of Australia at first light on April 19 1770 (just a few days after Easter), so that the most south-eastern tip of Australia is called Point Hicks in his honour. Zachary Hicks was the first of the party to set foot on Australian soil when they landed at Botany Bay. Although some 600 convicts came from Cornwall, it was after the 1840s that emigration from Cornwall sharply increased, since there was a potato famine and slump in the mining industry in Cornwall at that time. There was a vigorous campaign to attract Cornish people to Australia, with free passage to South Australia offered to Cornish miners. As a result, a thriving Cornish community sprung up on the Yorke Peninsula in South Australia, which became known as “Little Cornwall”. The Yorke Peninsula is still intensely proud of its Cornish heritage, and the Cornish cultural festival held in the area is the largest of its kind in the world. During the gold rush era, Cornish miners were naturally drawn to gold mining towns in Victoria, New South Wales and Western Australia. Cornish miners founded the first trade unions in Australia, and were instrumental in forming the Australian Labor Party. Two of Australia’s most well-known Prime Ministers, Robert Menzies and Bob Hawke, have Cornish ancestry, while numerous politicians have been of Cornish descent. Leggo’s foods and Fletcher Jones menswear are two successful businesses founded by people from Cornish families in Australia. (Leggo is often wrongly thought to be an Italian name rather than a Cornish one). It is even said that our chant of Aussie Aussie Aussie, oi oi oi comes from the Cornish Oggy oggy oggy, oi oi oi. An oggy is a Cornish pastie, in case you were wondering. 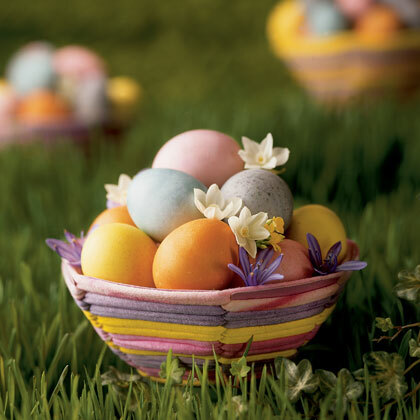 Happy Easter everyone – or, in Cornish, Pask Lowen oll! The surname Pasco is a variant of Pascoe, a Cornish form of Pascal, meaning “relating to Easter”. Because Easter is the most sacred and joyous period of the Christian calendar, from early on Christians chose names such as Paschalis, Paschal, or Pascal for boys born between Easter Sunday and Pentecost. There have been two popes named Paschal, and a 16th century Saint Paschal, a mystic born in Spain on Pentecost. The personal name and surname Pascal was introduced to England by the Normans, and the surname Pascoe has been used in Cornwall since the Middle Ages. Now the 6th most common surname in Cornwall, Pascoe has the spelling variants Pasco, Pascho, Pascow, and Pascowe. Pasco has been used as a personal name since at least the 16th century, originating in Cornwall and Devon. A famous member of the Pasco family is Rear-Admiral John Pasco, who served on the Victory at the Battle of Trafalgar, and sent the well known signal from Lord Nelson: England expects that every man will do his duty. After being injured during the battle, he spent some time in New South Wales with his family, and his son Crawford Pasco sailed to Australia on the third voyage of HMS Beagle; the Pasco Islands near Tasmania are named after him, as are several other features. He retired to Victoria and became a police magistrate. Around 4% of Australians claim Cornish ancestry, making Cornish the fourth-largest Anglo-Celtic group in the country, after English, Irish, and Scottish, and the fifth-largest ethnic group overall. However, 10% of South Australians claim Cornish ancestry, and six of the top ten surnames in the state are Cornish in origin. In 2011, there was a campaign to encourage Australians filling in their census forms to report their Cornish ethnicity, and encouraging Cornish pride in general, hence this blog post. Many Australians are proud of their ethnic origins, and will choose baby names to reflect that. I often see birth notices where babies are given names to reflect their parents’ cultural heritage, yet I rarely see Cornish names. Fitting in with the trend for boys’ names ending in -o, Pasco would be a great Cornish heritage choice, especially for a boy born during the Easter season. Pasco received an approval rating of 66%. 29% of people disliked it, but only 6% hated it.